Classic wedding/anniversary band is re-designed for your comfort. 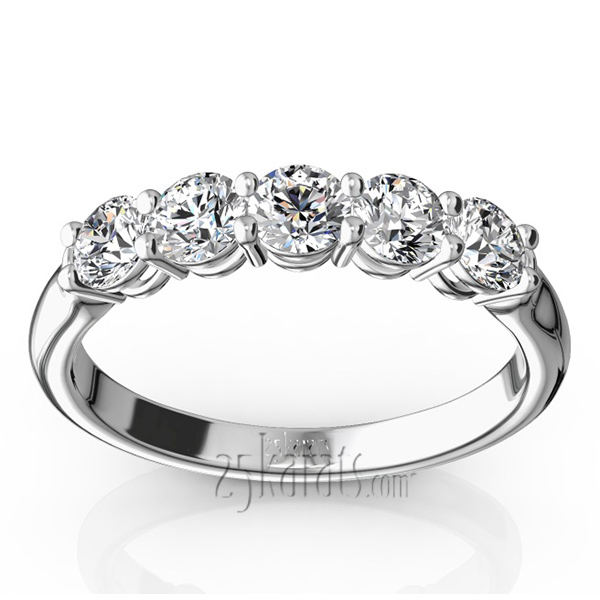 Rounded shank is finished as comfort fit. 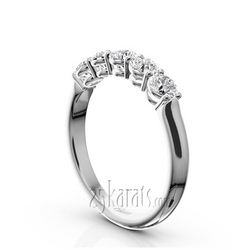 This basket setting shared prong wedding band is furnished with 0.75 ct.tw G-SI diamonds. 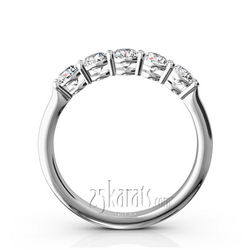 It is available in 14k, 18k yellow and gold, platinum and palladium.